Ashland is located near the California border. It lies along Interstate 5, south of Medford. In 1852, during a gold rush in nearby Jacksonville, Ashland's original settlers arrived and constructed flour and lumber mills. The town was incorporated in 1874 and from the 1880s sprouted swiftly as a railroad hub. Today Ashland, population 19,522, is a crossroads of educational, cultural and outdoor activity. The city is home to Southern Oregon University. 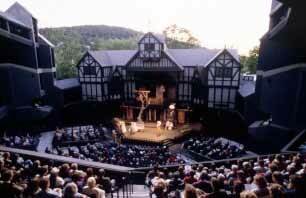 The Oregon Shakespeare Festival presents plays from modern playwrights as well as the Bard, from February to October. Activities at Lithia Park, inside the city, include hiking, horseshoes, tennis and volleyball. Nearby Mount Ashland in the Rogue River National Forest, provides winter skiing, while many lakes host fishing and water sports. There is also an Ashland, Wisconsin. Ashland is part of the Medford-Ashland, Oregon metro area.